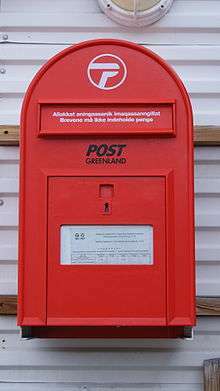 Post Greenland is the company responsible for postal service in Greenland. The company is wholly owned by Tele Greenland A/S, operating under Greenland Home Rule. 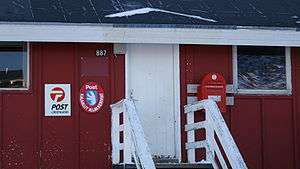 Tele Greenland itself was historically founded on September 6, 1925, and the date is generally held to be the founding date of Post Greenland, as well. The company's headquarters are located in Nuuk.